Are monocultures the great evil of GMOs and modern ag? One real problem with monoculture is that it is often used as a strong argument but in a poorly defined way. The influential food journalist Michael Pollan has gone as far as to claim that monoculture is the “real problem”, the “great evil in american agriculture”. Another common worry is that modern biotech crops lead to “more monoculture”. A major problem with these arguments is that monoculture as a concept is very broad. Before we specify which type and degree of monoculture is the issue, we don’t really know what we are talking about. What is monoculture, and what is it not? 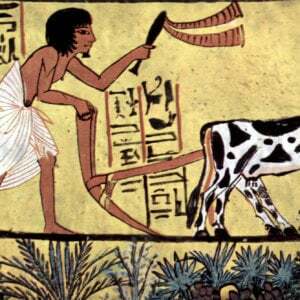 In this piece I take a look at this ominous method and its role in modern farming. Practicing monoculture means you grow (culture) only one (mono) crop. Monoculture can be defined in two aspects: time and space. That is, one crop is grown in a certain area, for a certain amount of time. How big an area or for how long, however, are actually important details which the word tells us nothing about, nor does it give us any information on what would be optimal for the environment or the farmer in each situation. What people often may be referring to when they name monoculture as the problem, is the practice of growing the same crop on the same field year after year after year, that is, monocropping. This could indeed in many cases have bad consequences. Let’s look a bit closer at whether modern farmers practice this kind of monoculture. Using crop rotations means that the farmer alternates the type of plant grown on one land area – the opposite of what is often meant with monoculture. Crop rotations have several advantages. They help avoid build-up of pathogens and pests that favor one type of crop, and they can improve soil structure and composition of nutrients by alternating deep-rooted and shallow-rooted plants, or including nitrogen fixing legume crops, for instance. The practice of rotating crops actually qualifies as one of the characteristics of apolyculture, though this term is more often reserved for the labour-intensive practice of growing multiple crops in the same space at the same time, one row each for instance, like on my grandma’s garden plot, or for very small scale subsistence agriculture in developing countries. Crop rotations can result in highly variable economic and environmental impacts. These impacts should be understood as the sum of the impacts of each of the crops in the rotation, and the impacts of the agricultural practices used on these crops. Therefore, the same rotation can have beneficial or detrimental impacts on the environment, depending on the management practices chosen by the farmer. It is also good to remember that there are a number of crops where crop rotation on yearly basis is simply impossible. These include tree crops like wineries, olive and fruit orchards, tree nuts, berries like raspberries, and or any other perennial crop plants. Some wineries may have been growing nothing but grapes for hundred(s of) years! 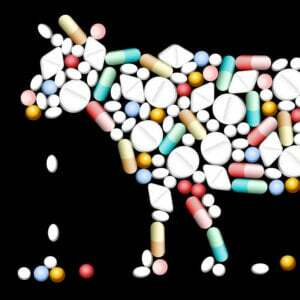 Are they the crown of all the ills in agriculture? No, but they are extreme examples of certain kind of monoculture. Using crop rotations are part of age-old farming wisdom, which have been practiced since 6000 BC (see for instance wikipedia for crop rotation). So are monocultures, which does not by any means imply they would have been ecological nightmares. It all depends on the circumstances. Don’t most people? Grow too much of the same thing, and it is like watching inbreeding! Oh yes. We grow ten different crops. We rotate according to market demands, crop history, weed history, soil needs. Our soils are in excellent condition. Yes, we rotate our corn and soybeans every year, and we no-till. Yes, intensively. Typically winter wheat, corn, safflower or sunflowers, malt barley. If needed we’ll then go to summer fallow or back to wheat. Also this would be when we’d put ground in alfalfa and leave it for a few years. There are some areas where corn or soybeans tend to be planted nearly continuously in the same fields. As an agricultural scientist it would be easy for me to join the “Food Movement” folks that demonize the growers that do this. The difference is that I have met a lot of these growers and I understand the economic reasons behind their cropping decisions. How does biodiversity relate to monoculture? Another topic which people sometimes connect to the problem with monoculture is one of crop- or biodiversity. These types of arguments are also for the most part quite loosely defined. Let’s look at some different ways to approach the topic. 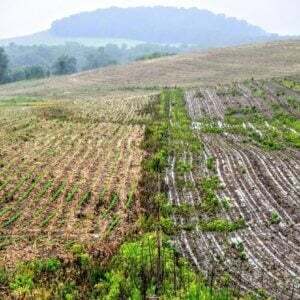 Monoculture, as in, a field of one crop, does reduce the biodiversity of that area if we would compare it to, say a forest, or a polyculture in its place. Sure, by planting one type of plant on one field instead of five or ten, you will have less diversity on that field. Is this bad? It also happens to solve a lot of problems (like getting enough of that crop to eat). So many, in fact, that virtually every farmer has chosen this method for grains and many other crops since times immemorial. If someone could come up with an efficient (especially: not extremely labour intensive) way to get the same results from a polyculture, they would certainly get the farmers attention (as well as mine!). Even if fields tend to have only one crop variety, it does make great sense to include different crop varieties close to one another (on the same field) in some cases, when that plant diversity helps avoid evolution of resistant bugs, like in the case of need for Bt-refuges. Seeds that have the Bt-gene that allows them produce their own pesticide (which is very safe for other animals save the target caterpillars) come with the recommendation that they should be planted alongside with a refuge area of plants without the trait in order to ease off on the local evolutionary pressure driving resistance. Now that we mention pests, it is worth noting that while some kinds of diversity are beneficial for the farmer, other types may harm your crop (too many pests). It all depends on the specifics of the situation. Biodiversity of untouched nature will in almost always far surpass that of farmland, and it’s important to keep as much of that nature intact as possible. Efficiently farmed land helps reduce the area of farmland needed. Efficiency in farming also means avoiding a multitude of organisms which would contribute as diversity: namely, all weeds and pests. By reducing weeds and pests (and thus also diversity), we guarantee that the resources poured into the field do not go to waste. Whether the best and most efficient type of farming is monoculture for several years or some type of crop rotation always depends on the type of crop and larger situation. …altogether, GE saved 13 million hectares of land from conversion to agriculture in 2010. Heterogeneity in the product sure can be fun for me as the balcony gardener at home though! That’s a whole lot of diversity saved from farming (nature that hasn’t been turned into fields). Okay, so maybe biotech crops don’t lead to more monoculture in that aspect. 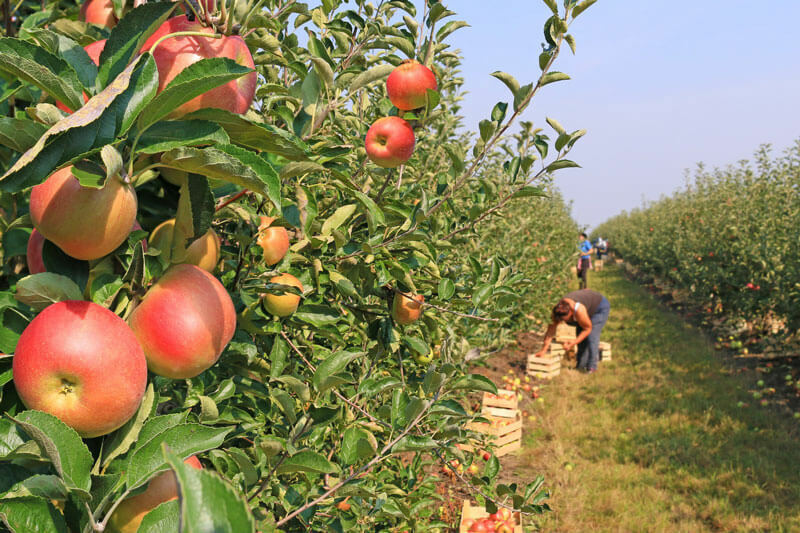 Another interpretation of the biotech ‘monoculture problem’, which is not actually connected to the term monoculture at all, is the worry that biotechnology would lead to diminished genetic diversity within the crop plants themselves. But fact is that farmers do plant a very genetically homogenous batch of seeds already when they buy traditional hybrid seeds. Arrays of different varieties are available, and farmers have the advantage of choosing carefully to suit their particular needs. The benefits in the form of vigour of the plants (healthier, bigger) far outweighs the pros of diversity in planting seeds with more randomly distributed characteristics – more heterogenous size, pest tolerance, etc also means smaller yields, in turn requiring larger farming area for same amount of product.Yet another commonly held belief is that development of biotech seeds has lead to a dramatic reduction in the variety of seeds available to the farmers. 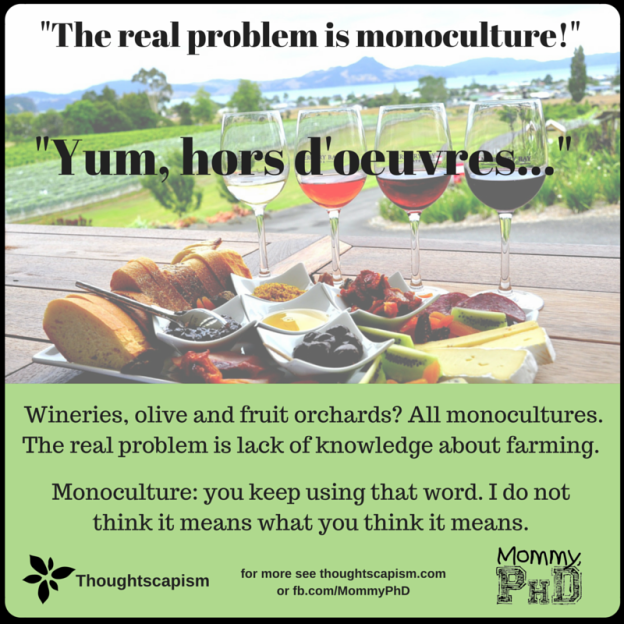 Some people seem to perceive that monoculture refers to the idea that todays farmers only grow crops of a few genetically uniform types, the only kinds ‘left’. 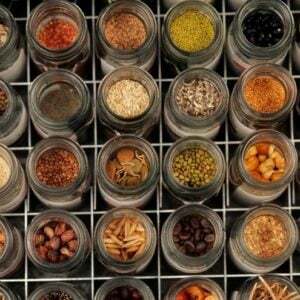 The claim that available crop diversity would have suffered was put forth by an activist organization RAFI which reported on majority of old plant varieties having disappeared from seed catalogues. (Under their new name, ETC, they also contributed to a questionable UN report, which I have written about at length here: Myth: The UN calls for small-scale organic farming.) Like many myths, this one is curiously persistent, considering that if you actually look into it, it does not hold up. This piece from The Genetic Literacy Project reports on that in detail. While creation of new varieties creates more diversity, the ‘disappearance’ of most old varieties has been of virtual nature – same variety previously sold under many names is nowadays found under one name only. …many varieties noted in the early 1900s did not represent different species; rather they were just the same rose (or tomato) by another name. For example, while Tracy found 578 named varieties of garden beans, only 185 of those were truly distinct. So wiping out nearly 400 varieties represented zero loss of diversity; it was just a book clean up. best informed party for deciding which variety works best for their land and situation. No manner of practice of monoculture (or Big Ag-business) has stolen that choice from them. I suppose one could argue that Pollan is correct when he says “Monoculture is at the root of virtually every problem that bedevils the modern farmer,” but only because that is how modern farmers grow crops. If modern farmers universally adopted polyculture, a new set of (equally bad) problems would result. And then polyculture would be at the root of virtually every problem farmers faced. Are monocultures problematic? Sure, if the geographic or temporal scale is large enough. But the problems solved by using monoculture on a field-scale tend to far outweigh the problems they cause. Before you criticise monoculture as a farming method, it is best to make your argument specific. Do you mean monoculture in time or space? Which crop and which context is particularly problematic for monoculture? How? Or perhaps you mean to say more diverse rotations are needed on what comes to certain crops or farms? It’s also good to be specific about what the specific problems are that you are hoping to find a new solution for with your criticism. Is it about specific weeds, or pests, or nutrient availabilities, and where? Is there another crop or special schedule of rotation you know about that has evidence of serving certain type of farmers better in their situation? Most western farmers are using very sophisticatedly tuned methods for balancing the best outcomes for their individual farms. I’ve noticed that the more I know about agriculture, the more complex and fascinating the topic turns out to be. Instead of adding to the cloud of confusion around farming with vague comments on the ills of monoculture, it would be far more fruitful to concentrate on understanding what actually lies behind the grand-sounding concept. This article originally appeared on Thoughtscapism here and was reposted with permission from the author.